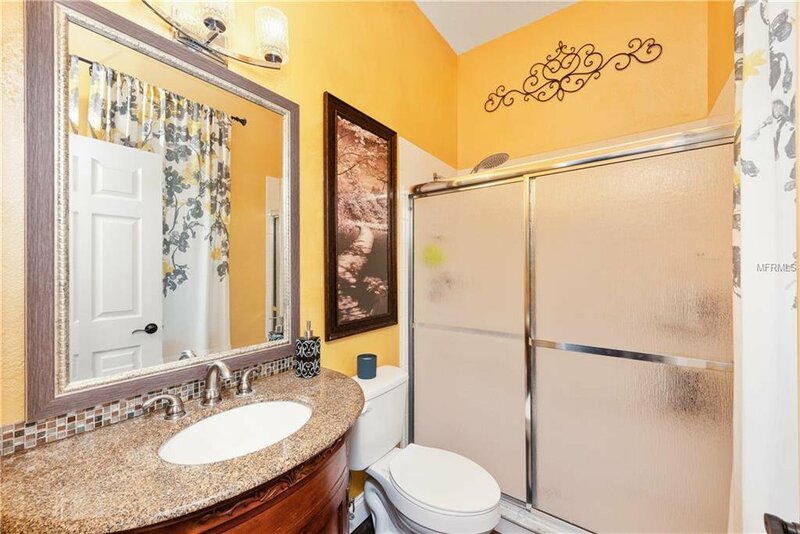 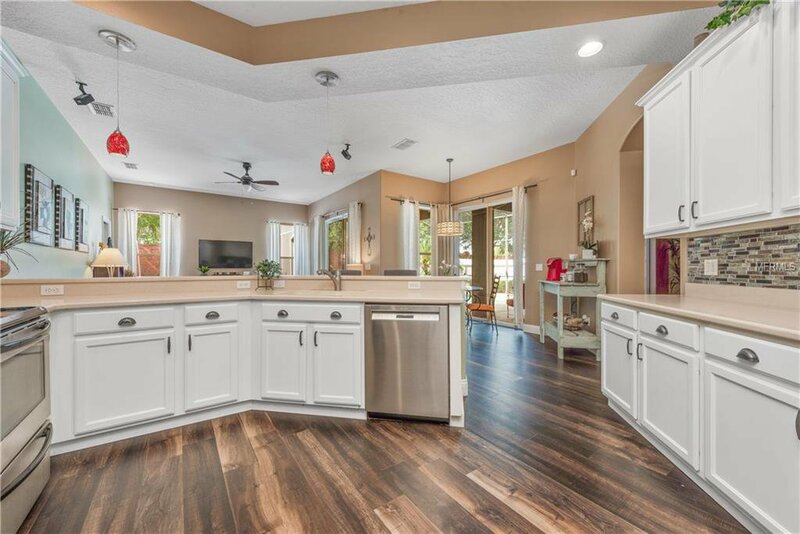 This home checks all of the boxes: Screened-in POOL, THREE CAR garage, THREE Full Baths, ROOF REPLACED 2018, Exterior Painted 2015, and an UPDATED KITCHEN that rivals a model home! 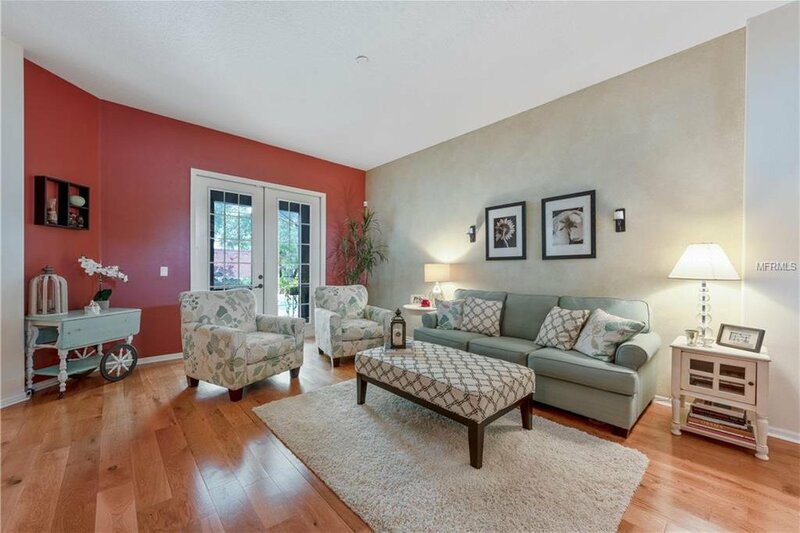 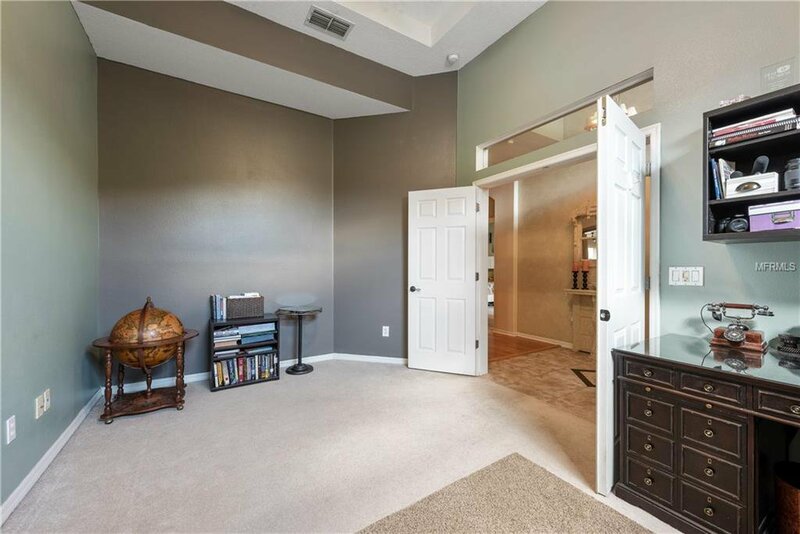 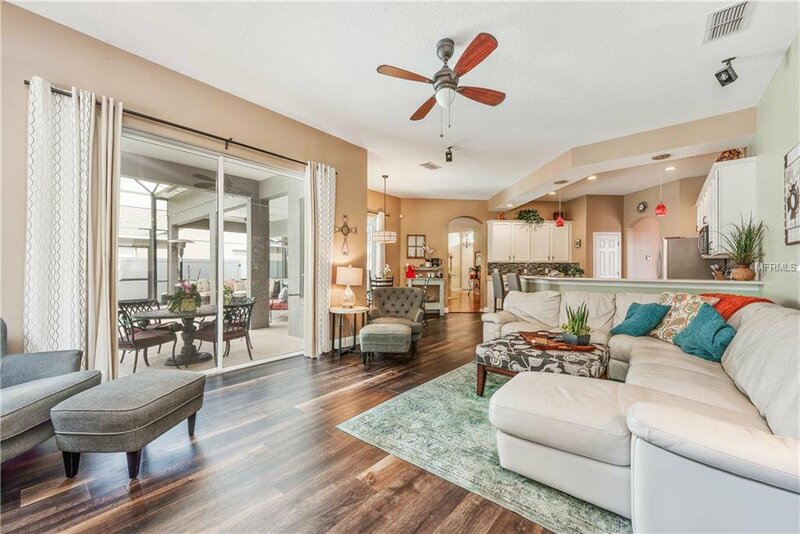 A flowing OPEN FLOOR PLAN welcomes you into this home with HIGH CEILINGS, plenty of entertainment space, and beautiful archways. 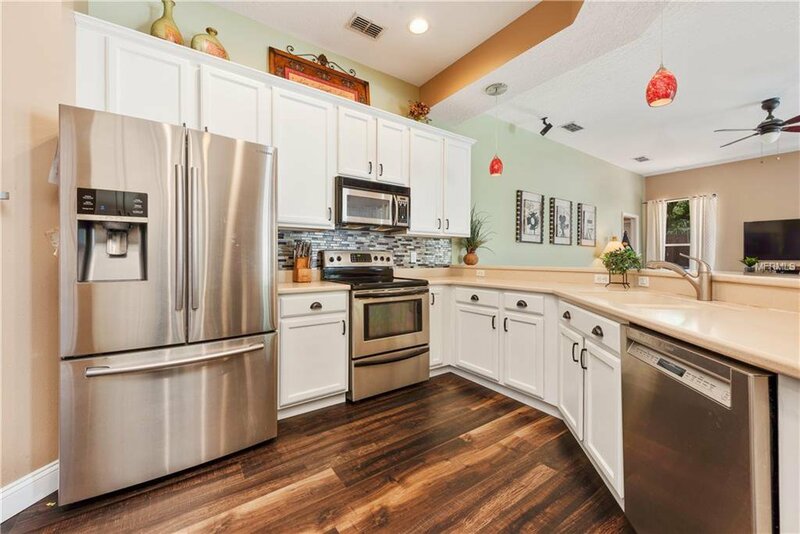 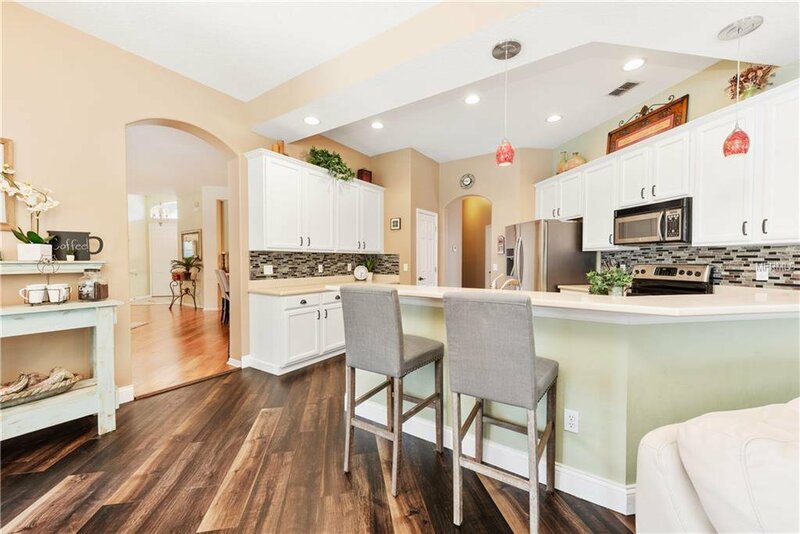 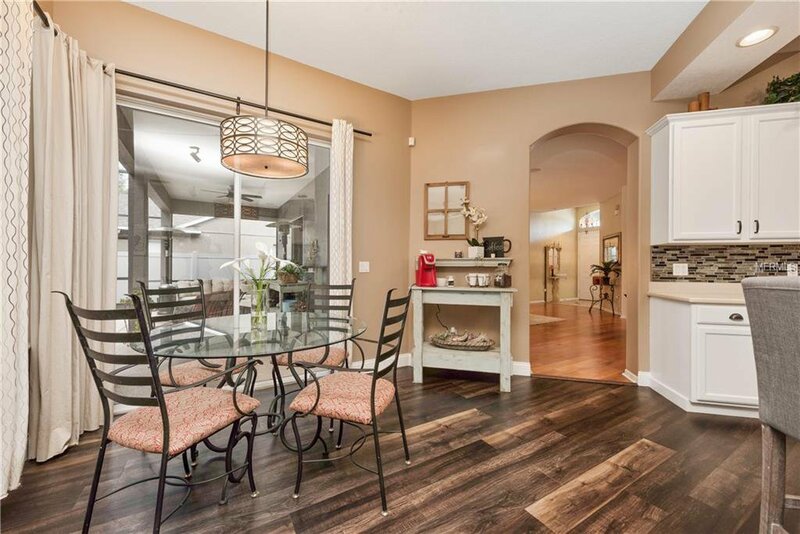 The family chef will love the updated kitchen with solid surface Counter Tops, top of the line STAINLESS APPLIANCES, BREAKFAST BAR, PANTRY, plus abundant storage & counter space. 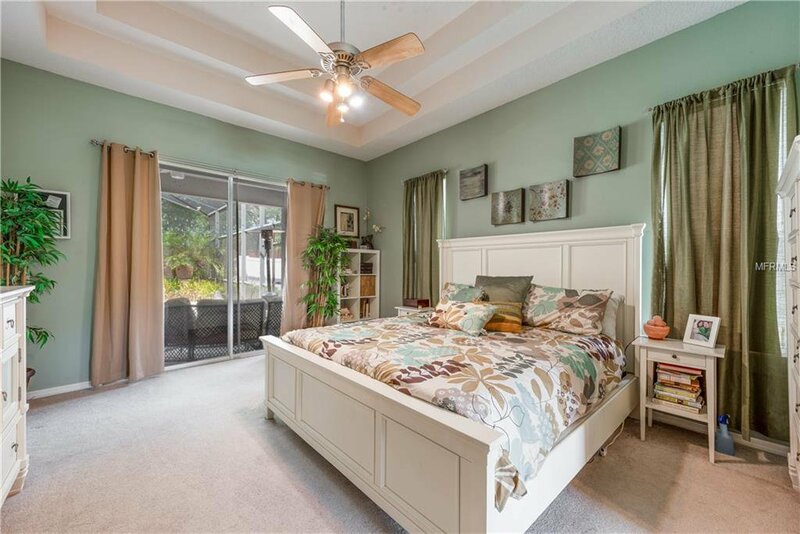 The Three-way SPLIT BEDROOM PLAN delivers a PRIVATE MASTER SUITE with an impressive double trey ceiling and a MASTER BATH boasting HIS/HER SINKS, garden tub, and separate shower. 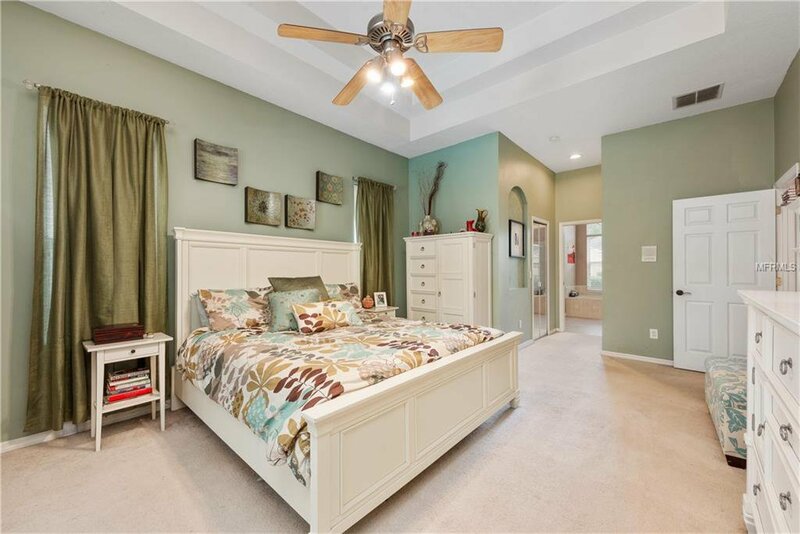 The secondary bedrooms, family room, and kitchen have NEW LUXURY VINYL PLANK FLOORING adding to the appeal of this home. 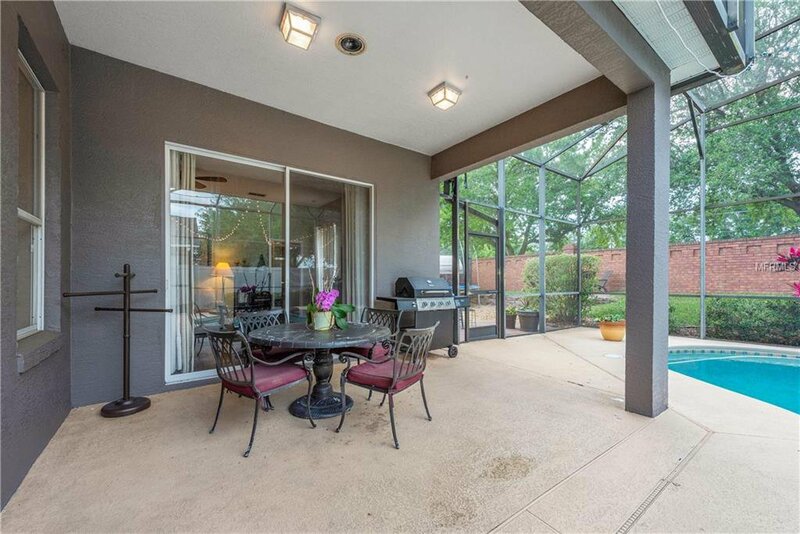 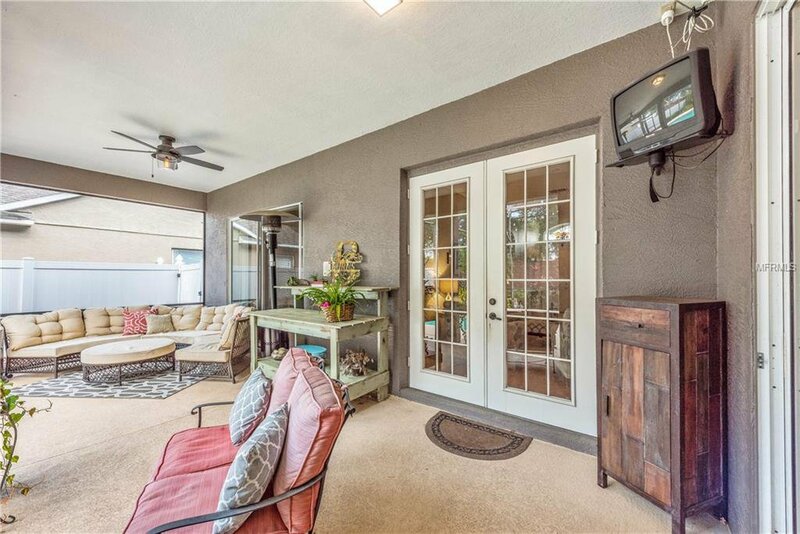 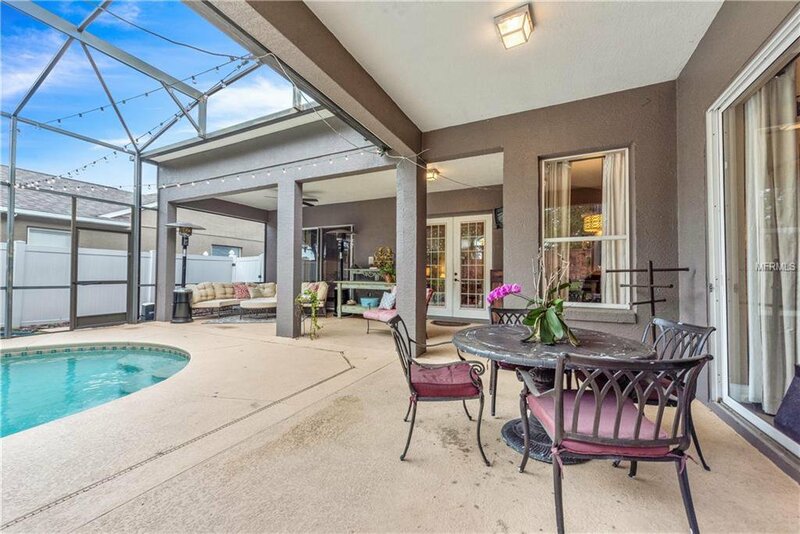 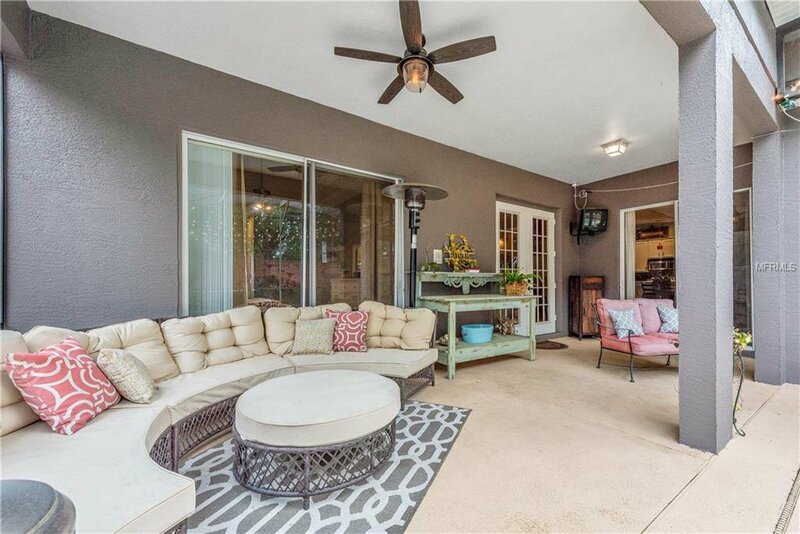 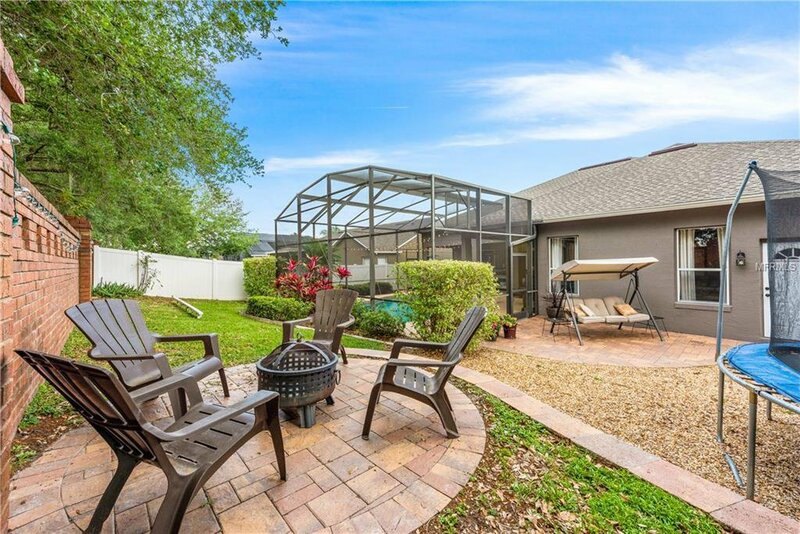 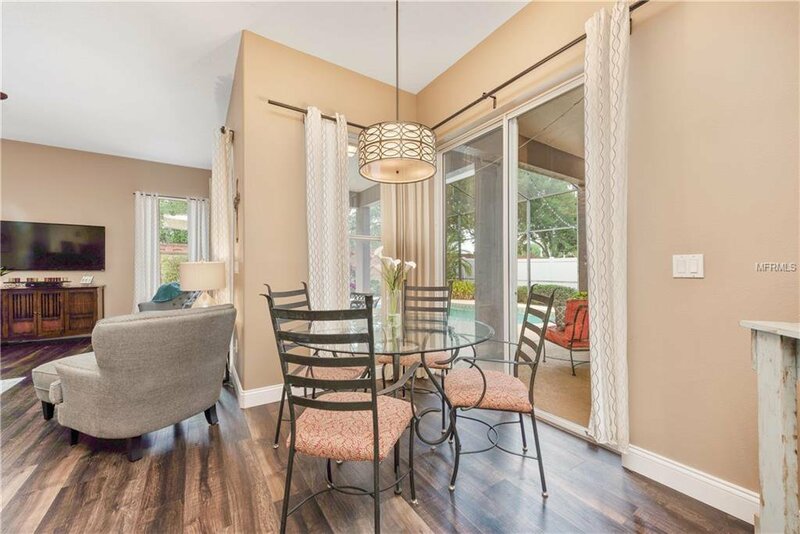 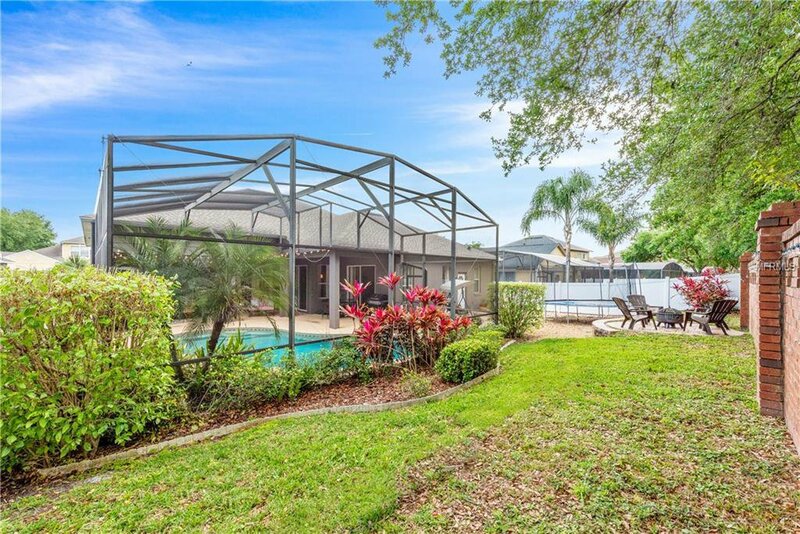 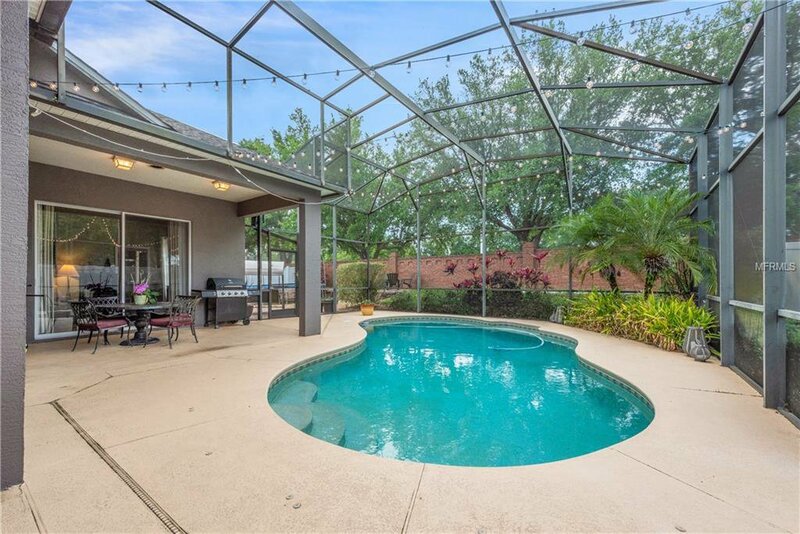 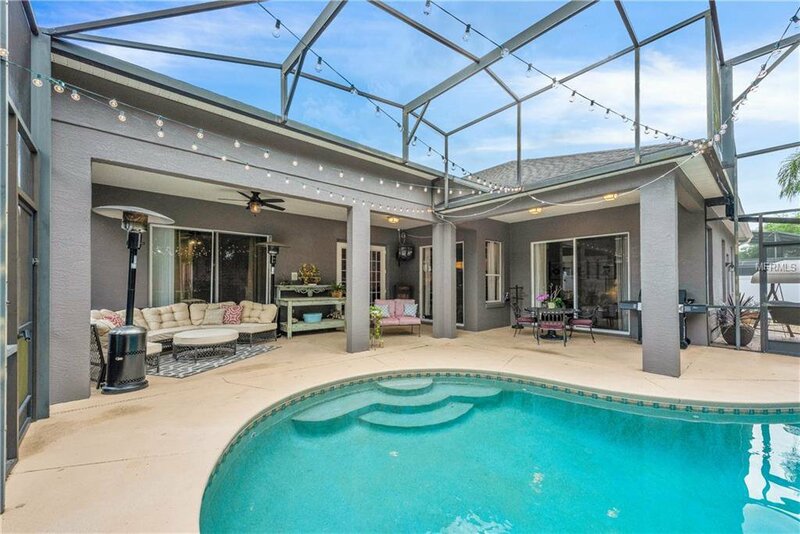 Enjoy gatherings in the screened lanai with extensive decking around the refreshing POOL! 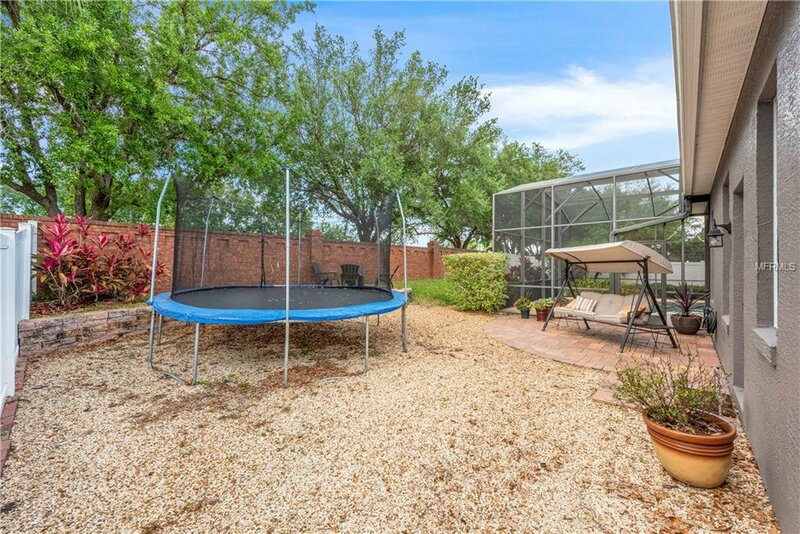 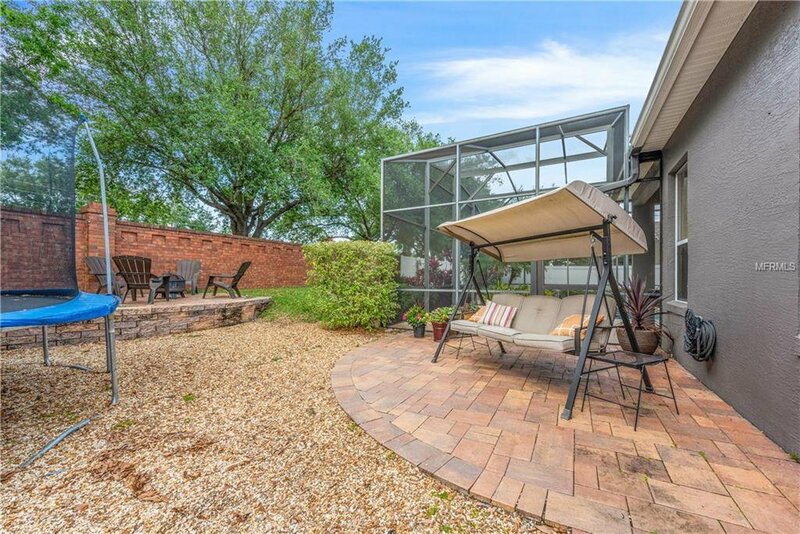 The backyard is FULLY FENCED and offers additional space for recreation. 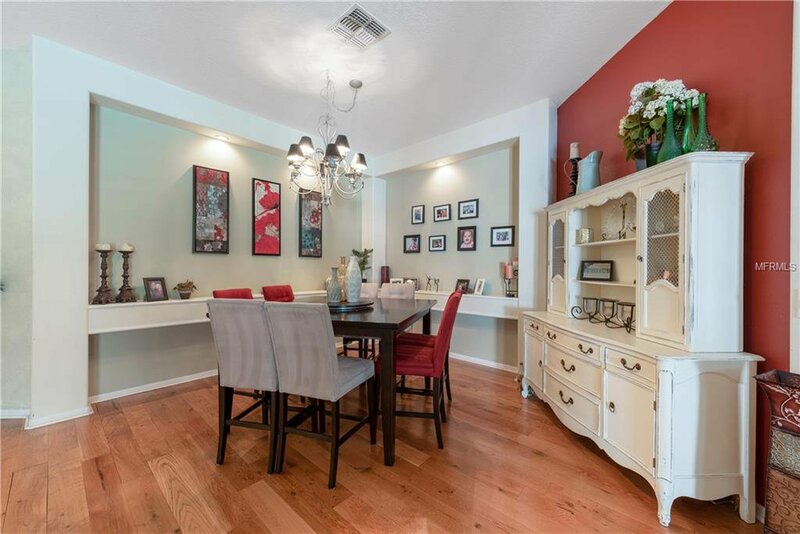 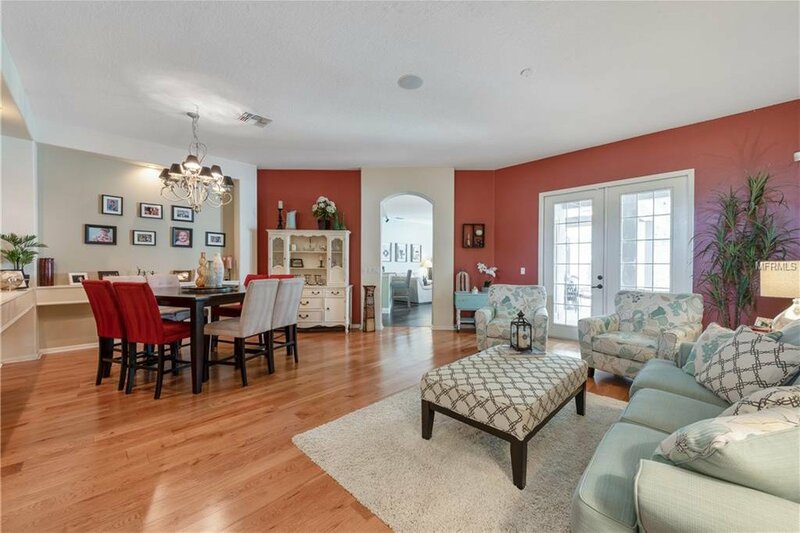 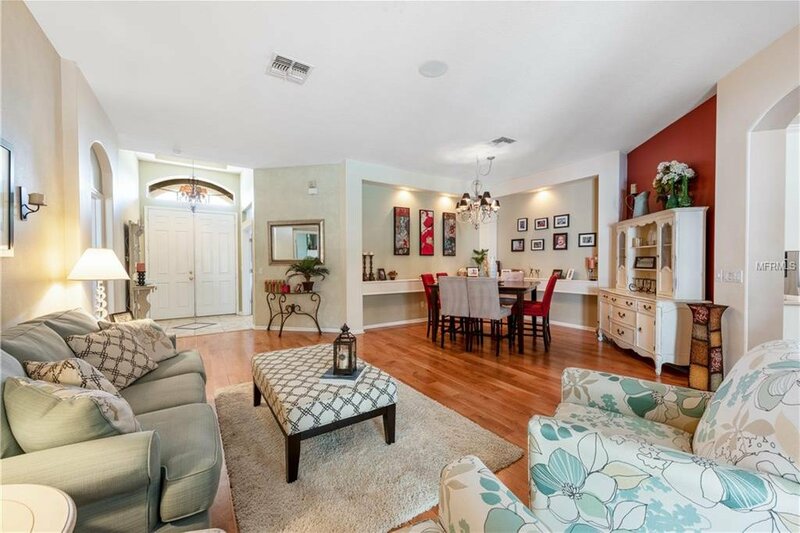 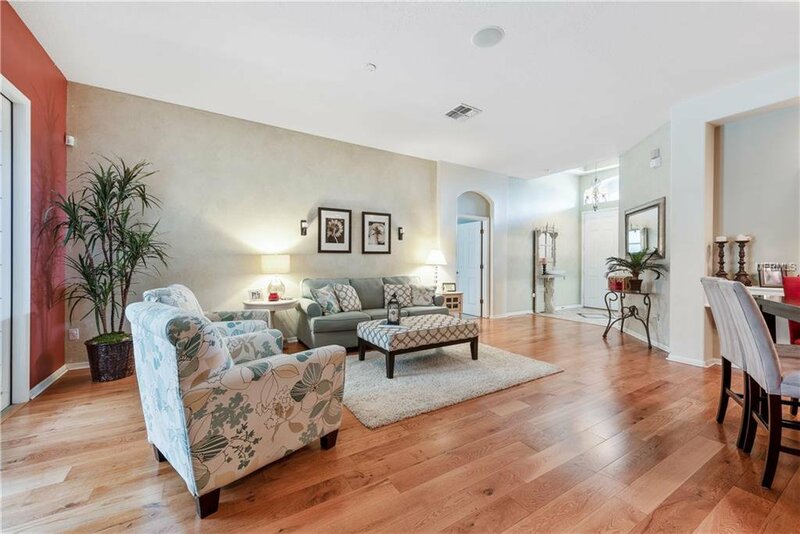 Conveniently located just minutes from the Waterford Lakes Town Center offering more than 100 specialty shops, a variety of restaurants, and entertainment in a park-like, open-air shopping environment. 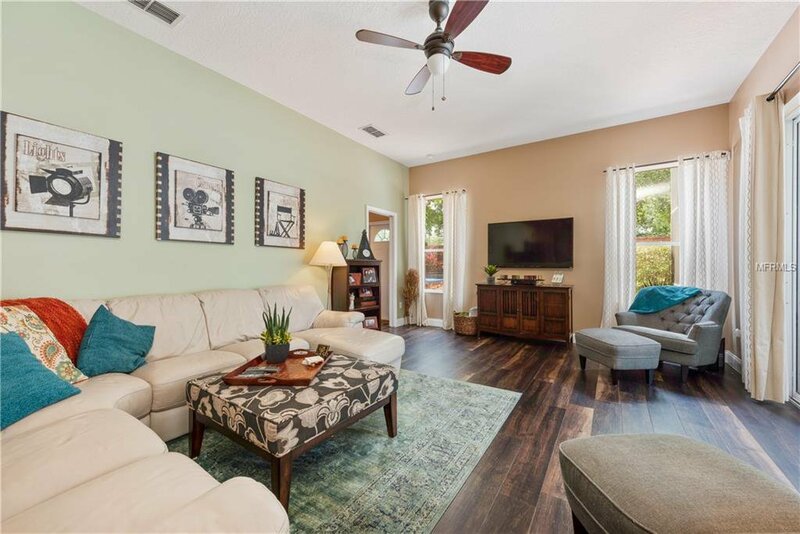 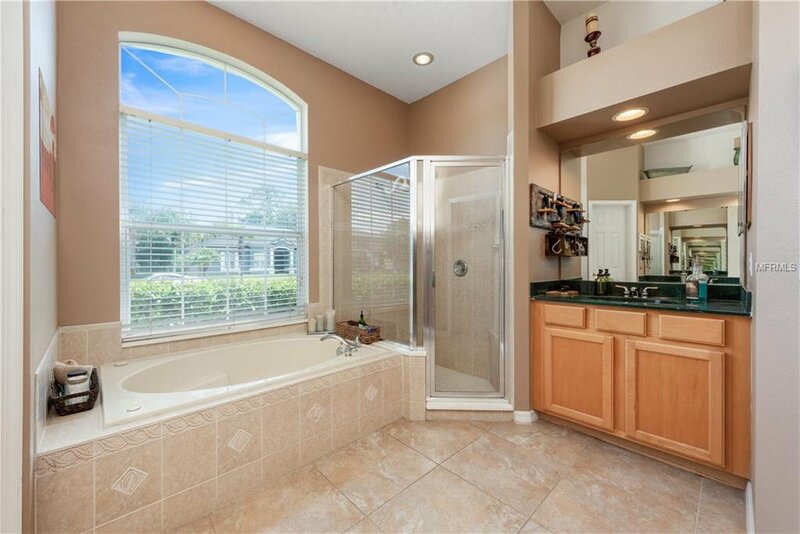 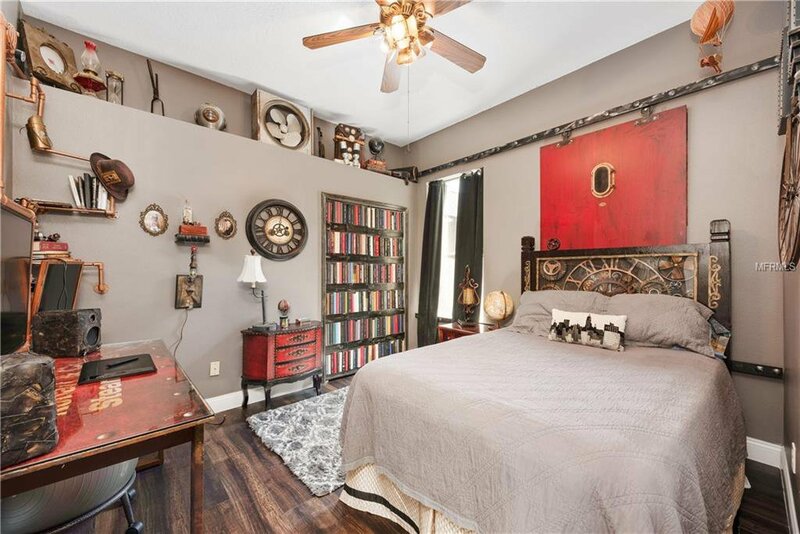 Plus enjoy easy access to 408, 417, and close proximity to UCF, Valencia College, Full Sail University, Rollins College, Young Pine Community Park, Lake Nona Medical facilities, Downtown Orlando, Park Avenue, & Research Parkway. 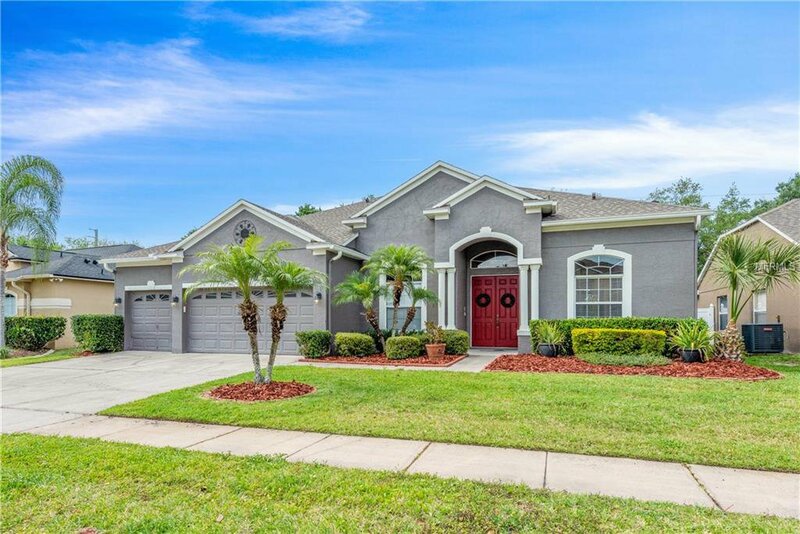 All that Central Florida has to offer (attractions, beaches, the wetlands & more) is just a short commute away.